Focusing on cereals as cornerstones of European agriculture, culture and diets, CERERE fosters and facilitates exchange and integration of scientific and practical knowledge on how to best manage and embed agrobiodiversity along the whole supply chain from seeds to fork. CERERE combines the available scientific results from a range of disciplines, spanning from genetics to agronomy, food technology and nutrition, social sciences, economics and marketing with the innovation and best practices developed by pioneering farmers, advisors, manufacturers and consumers. A well-balanced multi-actor network of researchers and communities of practitioners promotes innovation producing and disseminating easily accessible end-user material and training products targeted at farmers, food manufacturers, consumers, researchers and policy makers. CERERE’s most relevant goal is to reduce the gap between research and innovation practice in diversity based cereal food systems through the achievement of the following four specific objectives. The project is structured in five workpackages (WP) that help achieving the general objective of promoting and enhancing innovation in diversity-based cereal food systems within European agriculture. CERERE structure facilitates connection and exchange of knowledge between all value chain actors, as well as between them and the world of research. ensures the smooth realization of the project, optimizing the organization and timing of activities and resources, so that objectives, planned activities and outcomes of the CERERE proposal will be fully achieved. Important tasks include the development of the consortium agreement, project coordination, internal communication, project reporting and quality management. identifies and synthesises a range of best practices and research results relevant for building innovative, diversity based and quality and health centred cereal food systems. Cases of synergic integration of practical and scientific knowledge are also sought here. Important tasks of the WP include: identification and description of case studies on the best practices grounded in diversity, health and quality along the farm-to-fork continuum, screening of research results relevant for supporting these best practices, participatory discussion of the case studies and the research results to identify co-innovative solutions, and identification of bottlenecks affecting the uptake of the collected solutions. makes the best practices, research results and collected solutions available to end users of organic and low-input cereal food systems through a set of face to face learning activities supported by trained facilitators. It also formulates policy recommendations based on a thorough scenario analysis that takes into account barriers to and drivers of the diffusion of diversity based cereal food systems. 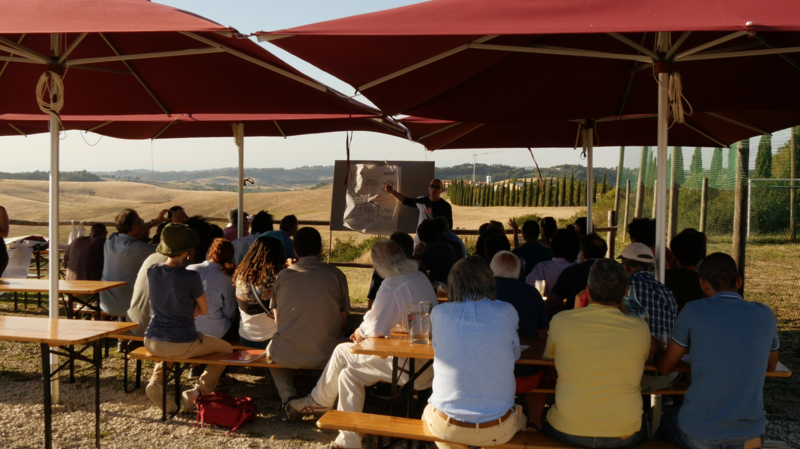 Important tasks of the WP include the organisation of a set of knowledge sharing events, including field activities, based on a participatory approach. The events will be implemented both at EU and country levels drawing on the experience of the farmer networks which are partners of CERERE. operational groups related to the CERERE themes, raising awareness and capacity building for network participants to propose and create new operational groups, developing a training concept targeted at innovation brokers and facilitators of participatory and knowledge sharing activities in the EIP-Agri context. enables the internal communication and knowledge transfer amongst all project actors in a dynamic way. The project website will serve as a dialogue platform that will follow the project along with its development, rather than a formal and static tool. An open database of the key players from CERERE, later integrated with data and information on relevant external stakeholders, will grant access to information and relevant data to all partners. WP5 will target internal end users through a range of diverse actions and outputs specifically designed to enhance knowledge transfer: video tutorials, interactive animations, booklets and innovation factsheets.